When you stay at luxury hotels regularly, you expect certain amenities: nice pools, considerate service, and delectable food. It all falls under the luxury title. 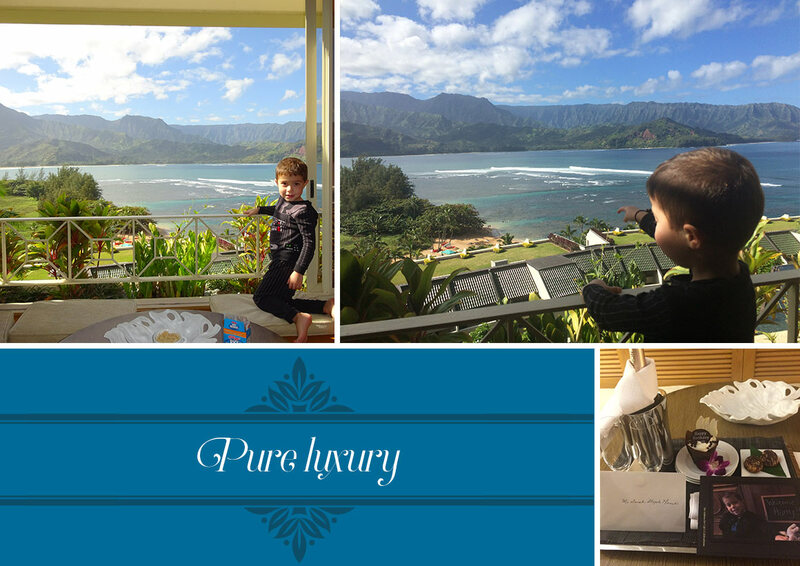 Our stay at the St. Regis Princeville Resort on Kauai, though, differed from any luxury hotel I’ve ever experienced in the most inspiring ways. As I’ve told my friends, it is my favorite hotel yet, and quite possibly the finest hotel in all of Hawaii. For anyone who has spent time in Hawaii, you understand the weight of that statement. People tend to imagine honeymooners when they think of Hawaii due to the islands’ romantic beauty. But it’s a welcoming place for families, too. And finding a hotel that caters to you and your little ones is priceless. While our family has traveled to Hawaii many times, this past January was our first trip to the island of Kauai. Pulling into the St. Regis Princeville felt like stepping into a tropical movie—breathtaking, lush, and green everywhere we looked. The serene Hanalei Bay backs the hotel, and across it, a blanket of light fog rolls across seaside mountains. Inside, we felt equally at peace with our spectacular views. Of our two weeks in Hawaii, the three days we spent at the St. Regis Princeville Resort were the most restorative. I picked this hotel as a special getaway for my 40th birthday, and the staff made sure to make our days memorable. The St. Regis brand places high value on tradition, which is important to me, too. Our family’s tradition is travel and play together, and from the moment we stepped inside, St. Regis’ own traditions enveloped us. Everything was as elegant as you can imagine—Polynesia at its finest. The hotel grounds included little shops, a relaxing spa, and delicious dining options. After entering the grand lobby, lined with giant windows overlooking palm trees and the bay beyond, our butler escorted us to the top-floor Prince Suite. There, more expansive views of the bay and mountains greeted us. We put down our suitcases, and our butler unpacked them for us, wanting us to waste not even a minute of our precious stay. Over the next few days, our butlers rotated, and each one took the best care of us, preparing coffee in the morning, bringing us drinks, and pressing my husband’s shirts for dinner. Harry became a superstar among them, exchanging high-fives with him whenever they spotted him. Chances were, they could most often find Harry at the beach, chasing the roosters that ran wild over the sand. Harry loved running after them, and we enjoyed watching him revel in the novelty of it. At dinner at the Kauai Grille during our first night, our butler, Robert, stopped by our table with papers he’d printed for us. We’d asked him upon our arrival if he could recommend any kid-friendly hikes in the area, and he went the extra mile in supplying directions, details, and even more than I’d requested. “Is there anything else I can do?” Robert asked then. I told him we were interested in dinner the next night at the neighboring Makana Terrace, the St. Regis’ main dining room, which overlooks the bay and Makana Mountain. Without hesitation, he walked over and booked a reservation for us. That night after dinner staff surprised us with a welcome tray of champagne and a printed photo of Harry from the WellTraveledKids site. Those thoughtful touches made us feel welcome in a place we’d traveled thousands of miles to experience together. Our plan had been to tour the island of Kauai before hopping to the Big Island (regular readers know how much I love exploring the islands and their national parks ), but we were so content being pampered and spoiled at the resort, we never left. It didn’t hurt that, as tradition, the hotel provided a complimentary, hour-long private photo session with no obligation to buy. At sunset, we slipped out of our sandals and headed to the beach. The photographer perfectly captured us in time—playful Harry at age four, my husband and I happy at 40 on our first visit to the magical island of Kauai. Those photos reflect the reasons we love to travel. The next night at sunset, we watched another St. Regis tradition: a stunning champagne sabering ritual at sunset. Each night differs slightly from the one before, as the person who sabers the top off the champagne first tells a story to set the mood. Some nights the story revolves around the history of Hawaii. Other times, the person may share how sabering first began, on far away battlefields in France. I was so taken with the tradition and the ceremony that I asked many questions of the hotel sommelier. He generously took me outside and taught me how to saber the bottles of champagne. I treasured those moments so much that when we returned home, I engraved our own saber. And at the birthday celebration we shared with family and friends, we carried the St. Regis champagne sabering tradition into our front room. The St. Regis Princeville will stick with me for years to come. Everything we ate was somehow more delicious than the last, each sunset more remarkable than the one before it. The hotel spa, where I spent a morning to myself while my husband and Harry played in the pool, was one of the best I’ve ever experienced and incredibly healing. Note to couples traveling with kids: Don’t be afraid to let the magic of Kauai transform you into honeymooners for a night. The St. Regis has a Kids’ Club for kids five and older. Look into the opportunities available there, as a romantic evening with your partner could be just what you need to make your family vacation even more unforgettable. Wow, what a great hotel! I can’t wait to plan a trip to Kaui now! 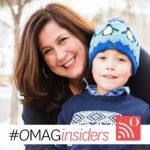 Thanks for the great article! Robin, you would absolutely LOVE this resort!! Oh Robin, you would LOVE it!